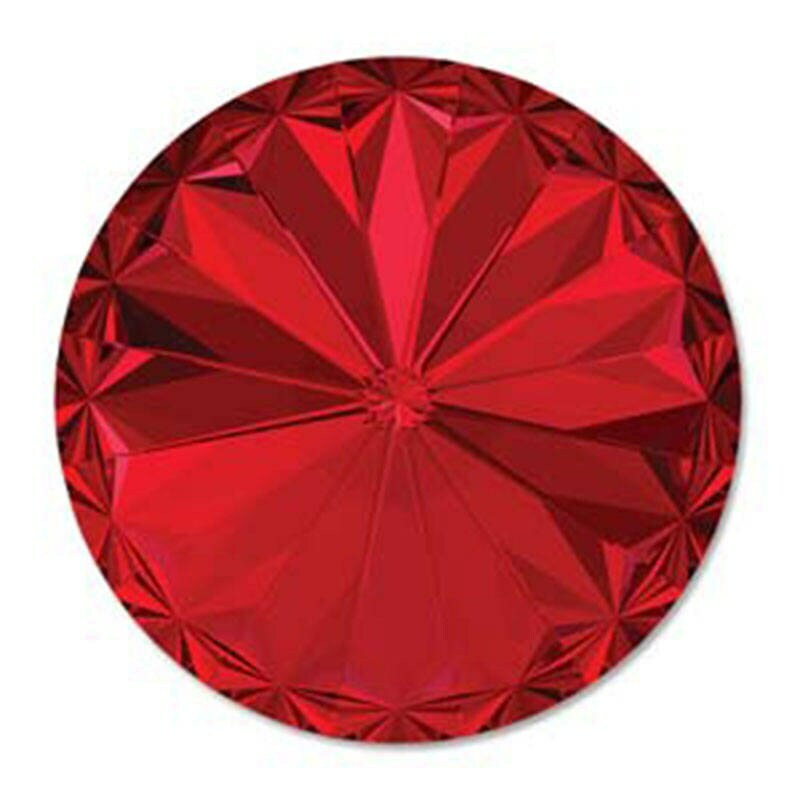 Swarovski Elements Scarlet 14mm faceted crystal rivoli. Rivoli rhinestones have no holes and the back of this Rivoli is foiled to ensure maximum light reflection. Pointed top and bottom adds increased depth and sparkle.